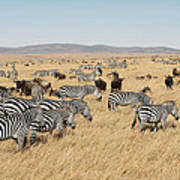 Plains or Savanna or Common Zebra, Equus quagga. 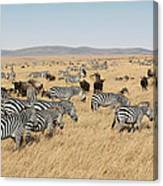 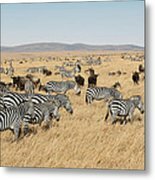 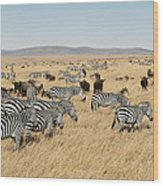 About 400,000 Savannah Zebra join over 1 million Black Race Wildebeest, Connochaetes taurinus, in enormous herds in the Maasai Mara, Masai Mara National Park, Kenya, and the Serengeti National Park, Tanzania, East Africa. 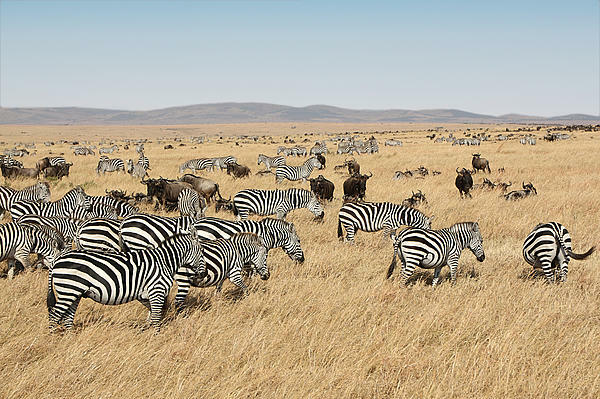 Always on the move these herds follow the rains and the grasslands north for approximately 6 months of the year and south for approximately 6 months of the year. 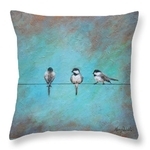 Photo by Carole-Anne Fooks, Carole-Anne, CaroleAnne.